As a follow-up to the talk by Simon Wenham on 23rd January 2018 : "Morris’ Motopolis: the Motor Works and Transformation of Oxford”, a group of members of the Society visited Nuffield Place, the former home of Lord Nuffield, founder of the Morris Motor Company, and now a National Trust property on Tuesday 19th June 2018. Lord and Lady Nuffield’s home and personal possessions are just as they left them, the decor and furnishings intact. 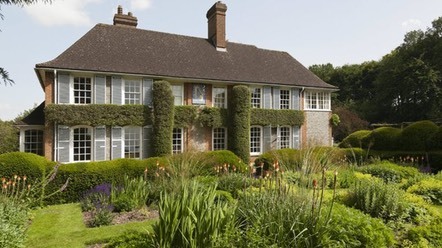 From the comfortable sitting room with a small black and white TV, to Lord Nuffield's humble bedroom with a secret built-in workshop, this intimate home exudes the tastes and interests of its remarkable owner.